"Ron Fawcett is a natural-born climber. In 1969, while still at school in his native Yorkshire, he tied into a climbing rope for the first time and was instantly hooked. From that moment on, it seemed nothing else in his life mattered nearly as much as his next vertical fix. Ten years later, Fawcett was the most famous rock climber in Britain and among the best in the world, part of a new wave whose dedication to training transformed the sport, pushing standards further and faster than ever before – or since. His legacy of new climbs ranks him alongside the very best in the history of the sport. Now, for the first time, he tells his extraordinary story, of how his love of nature and the outdoors developed into a passion for climbing that took him to the top – and almost consumed him. 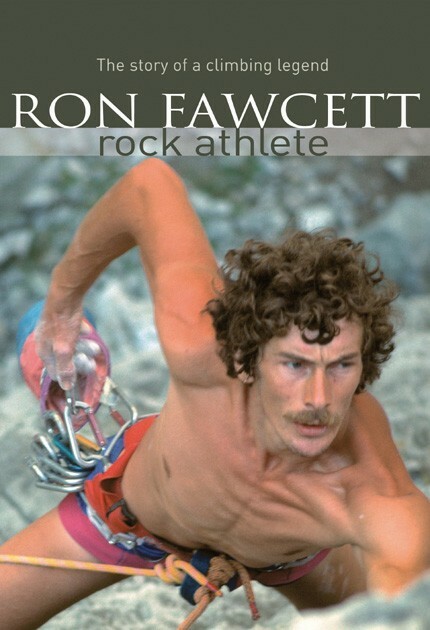 Ron Fawcett is a British rock climbing legend. As one of a number of leading climbers in the 1970s, Ron was in no small part responsible for rock climbing's evolution from amateur pursuit, to professional endeavour. His drive, and physical and mental ability, gave him an edge with which to forge new ground. Climbs such as Lord of the Flies and Strawberries were at the forefront of world climbing at the time, and are still considered formidable challenges over 30 years later. Arguably the first to translate his talent into a career, Fawcett attracted sponsorship deals and starred in a number of TV shows and specialist films, including the cult classic Rock Athlete, by filmmaker Sid Perou, and Dead Men's Tales by Leo Dickinson. Ron lives in the Peak District with his two daughters."